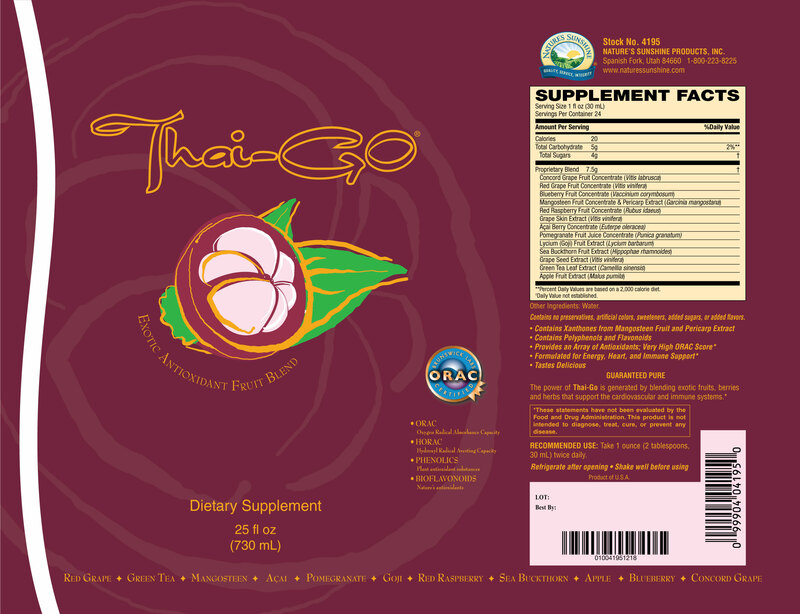 Nature’s Sunshine Thai-Go® Mangosteen Juice combines some of the world’s most powerful fruits and nutrients. 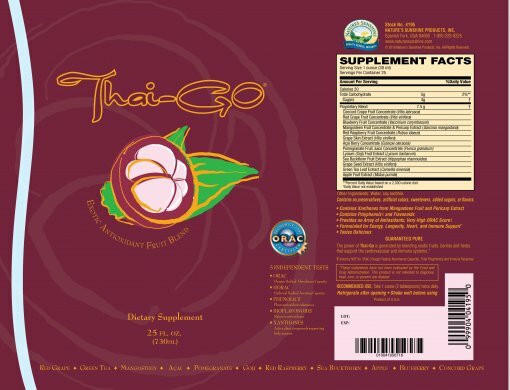 Full of xanthones, bioflavonoids, and antioxidants, Thai-Go Mangosteen Juice promotes proper vitamin C absorption, encourages cardiovascular health, supports capillary function, maintains collagen, and boosts the immune system’s defense mechanisms. Thai-Go is rich in antioxidants that neutralize free radicals that roam the body. The antioxidant potential of the formula is a high ORAC value. 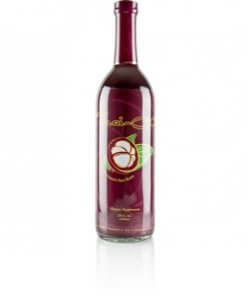 Included in the formula is mangosteen, a fruit grown in the tropics and rich in xanthones. Xanthones support the cardiovascular system and the immune system. Instructions: Take one ounce (2 tablespoons) twice daily.